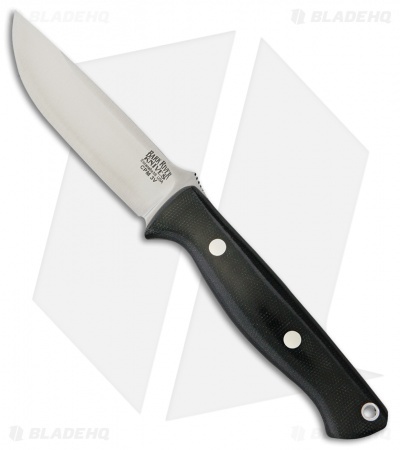 This Gunny Bravo model has a CPM-3V steel blade and a Black Canvas Micarta handle. The Bravo Series Gunny from Bark River Knives was initially designed as a smaller version of the Bravo 1 for Para-Military use, but it turned out to be so much more. It functions as a medium field knife for military and civilian sporting use, and its versatility is staggering. This all-around hunting and bushcrafting knife includes a handcrafted leather belt sheath for comfortable carry.